The Centraal Museum is open Tuesday through Sunday from 11am to 5pm. We are open until 9pm every first Thursday of the month. We are closed on New Year's Day, King's Day and Christmas Day. Combine your visit with the most delightful museum for small children? That is easy to do: the nijntje museum is located directly across from the Centraal Museum. Combination tickets are exclusively available from the Centraal Museum ticket desk and are valid for one day. The Centraal Museum and nijntje museum ticket desks open at 10am. The Centraal Museum exhibition rooms open at 11am. Every visitor will receive a map at the ticket desk listing what's on in the exhibition rooms (Expo 1, Expo 2, etc.). Are you coming to see a special exhibition? Find the Expo number on the map and follow the signs. There is free wifi in the entire museum and café. Unlimited access to 400 museums for a whole year? 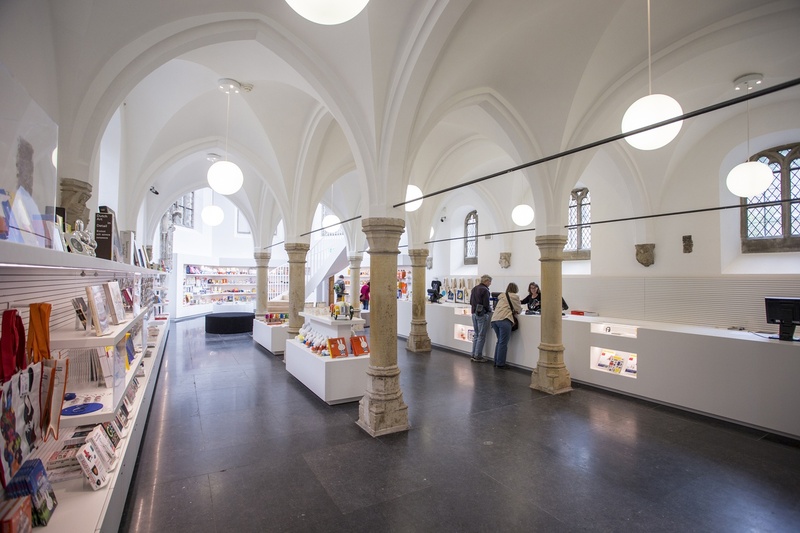 The Museumkaart not only offers you free admission but you may also take advantage of special offers for Museumkaart holders. You can purchase the Museumkaart in our museum shop or online. Click on the image to go to the Museumkaart webshop. To make your visit as pleasant as possible and to protect our collections, we have a few visitor regulations (PDF).